I’m loving this series. Its no secret that Allie’s War is one of my favourite series and this also has Seers in it. With book one I wondered how the two worlds fit together, they both feature Earth but in a slightly different way and on this one Seers are still not known to most humans, keeping themselves secret. I’m kind of going with a parallel worlds scenario for now – that’s how my mind perceives it, whether that’s how JCA intends it that way I’ve no idea, but I need to have that fixed or my head keeps on throwing out questions. There’s definitely a connection and both Syrimme and Wreg get a mention here as being on Old Earth. So – Black, he reminds me so much of Revik in many ways. His speech and the way he puts things, the way he’s fixated on Miri to the point of recklessness at times, the way he’s so incredibly intelligent, plans and manoeuvres to get the outcomes he wants. He met Miri in book one, and knew a bit about her but since then he’s learned so much more, he sees her at “his” and has the sometimes irrational jealousy that Seers have for their Mate ( Revik to a T!!). Poor Miri though is only just learning about Seers, to her she was just a human with some strong psychic powers enabling her to read others minds, which she’d been told by her dad to keep a secret, never let anyone know about it. Of course its helped in her work with the police, and she’s learned tricks to explain how she knows things. 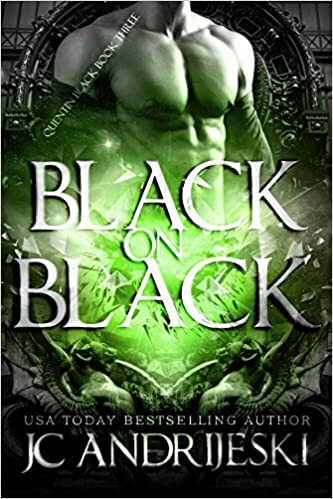 Since meeting Black though and finding out about Seers she’s become embroiled in a dangerous world. Her fiancé Ian, turned out to be a Seer ordered to be with her despite his distaste for humans, so clearly someone high up in the Seer world knew about her. He’s turned out to be a murderous psychopath though, and she’s in danger from him still. Black has gone “dark” once again and Miri knows through their mental contact something is wrong. She can’t convince his colleagues though, they say there’s protocol to follow when he goes deep undercover like this and they can’t interfere. They don’t know what he is or that the dangers are more than human. Miri can’t just leave him though, she’s seen through their bond that he’s undergoing things he doesn’t want to do and being put under great pressure, and she doesn’t think he can hold out much longer. He’d told her it would only be for six months but she doesn’t think he can last that long, or that Lucky will really just let him go…. She puts a dangerous plan into action that takes her into Europe along with friends from the Police Nick and Angel. She needed their help to get to where she wants to be, but first had to convince them of the dangers to Black, but of course couldn’t tell them about Seers, only that she could read minds ( that was fun!). Nick knows some of Lucky’s crimes and of course about murderer Ian from the wedding murders, as there’s a crossover into human crime from what they have been doing. She can’t tell them though that Lucky and Ian are Seers for their own protection, plus of course they’d probably just lock her up! Their journey brings them all into some real dangers, and unlocks some huge surprises to them all. Certainly caught me out…again. JCA is self published and that phenomenon brought out a huge number of books and authors. I love it when authors like JCA have taken this route, as it seems publishing houses have this criteria about delays between books so a series gets one a year or eighteen months or longer even! By the I’ve lost much of the impact, can’t really get into the story without rereading earlier ones. In self publishing though there are no stipulations and authors like JCA can publish as often as they want. That means book four of this series is out in Jan next year, and its only a few months back that book one came out! They all are very professionally edited and don’t feel rushed in any way. When there are so many different series on the go and the worlds and events are so complex I find it hard to know just how on earth ( this one or any other!) she does it but I’m really, really grateful she does. Of course Self Publishing has also led to some unfinished series, to authors that have written maybe part one and two of a serial that never gets finished, that they have no intention of finishing. That’s sad and reflects badly on self publishing authors, tarring them all as unreliable, which is a shame as I’ve had some terrific books by authors that maybe wouldn’t have got a start through traditional routes. If an author of a series/trilogy is new to me I find I’m waiting now till several books are out before buying because of being caught by that, and of course that’s a catch 22 situation – with what seems a lack of interest then authors may just give up on a series 😦 For Example one paranormal series I began back in 2012 when there were two books out is still waiting for book three, originally promised for late 2012, then early 2013, late 2013 etc. It was a really promising storyline and I’m sad, but given up on it now. I’ve had the same via romance trilogies where they get abandoned leaving the reader stuck on a horrible cliff-hanger. That’s why I love authors like JCA who deliver what they promise when they promise, write books with a real story, a fantastic scene setting and turn out novels in a number of months not years. So,rant over and back to Black – it’s another fabulous, rivetting read leaving me keen for more.